A car diagnostic tool is often referred to as an OBD2 scanner and it allows you to diagnose and attempt to clear error codes. OBD2 ports have been standardized in the majority of cars since 1998 and are usually located below the steering column. 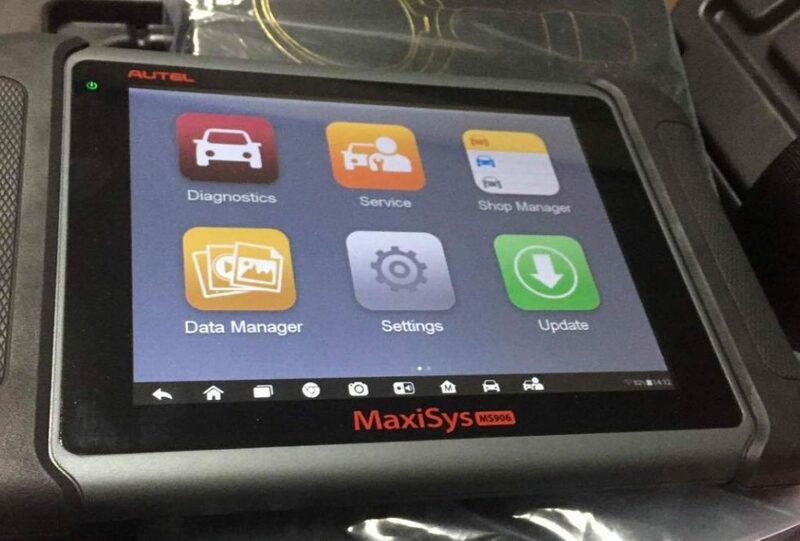 The best OBD2 scanner is the Autel Maxisys Pro MS908P, which has advanced diagnostics and ECU programming. However, it is fairly expensive and has complex features that the average car owner will not use. In terms of value for money, the Bluetooth BlueDriver OBD2 automotive diagnostic scanner is the best option. Using a car diagnostic tool is fairly simple and it allows you to check for error codes such as engine management lights, airbag/SRS and much more. Many professional diagnostic tools even perform real time tests for further diagnostic data. Classic cars from 1980 to 1998 will most probably have an OBD1 port for diagnostics. They are usually simpler and do not provide as much diagnostic data. There are many OBD1 scanners integrated into OBD2 tools that are designed to be compatible with the majority of the vehicles on the road. As technology has improved, so have car diagnostic tool devices in terms of their compatibility and features. You are able to communicate with your car using the OBD port via a wired connection to the scanner or to a smartphone via Bluetooth. An automotive diagnostic scanner is an essential tool for modern vehicles as they provide instant feedback to assist with fixing or modifying your car. Below is a list of the best OBD2 scanners for car diagnostics that are suitable for professionals and average car owners. Autel are a large car diagnostic brand that produce scanners suitable for professional mechanics to home mechanics. The Autel Maxisys Pro MS908 OBD2 scanner is their flagship model and by far the best professional automotive diagnostic scanner available. It goes a lot further in terms of functionality than just reading codes. In terms of the technical specification, this car diagnostic tool really is quite special. It has a A9 Quad Core 1.40GHz processor that uses an Android operating device, which is really easy to use. It also has built in WiFi, 5MP camera, flashlight, 8 hour battery life, 32GB SSD hard drive and a 9.7 inch LED touch screen. As this OBD2 scanner will be used mainly in garages and workshops, it has padding all round to protect it from any heavy impacts. Everything about this car diagnostic tool is high quality and well thought out. The Autel Maxisys Pro MS908 is the ultimate car diagnostic tool and can be made even better with add-on features such as oscilloscope, J2534 reprogramming module and much more. There are 4 versions of the Autel Maxisys Pro, which include the DS808, MS906, MS908 and MS908P. The Launch X431 is a direct competitor of the Autel Maxisys Pro MS908, which are both targeting professional mechanics. The Launch X431 is by far the best looking car code reader within this article with its design based on a tablet device. It has the ability to read the majority of the car manufacturers with car specific connectors and adapters for both OBD1 and OBD2. The bundle includes 14 different connectors and other diagnostic standards for cars in the EU and Asia. There is also a deep vehicle system covered for all electronic devices included. The HD 6.98 inch screen is highly responsive and provides excellent feedback for live streaming graphs and other tasks. It also runs on the Android operating system that is known to be easy to use and update with the latest firmware. Overall the Launch X431 Pro is the best alternative to the Autel Maxisys Pro MS908 as its cheaper and provides other functionality that may be required. This OBD2 scanner can also double up as a tablet because it can connect to the internet, play music, take photos and much more. The BlueDriver is by far the most popular car diagnostic tool on the market. This is mainly due to the intuitive OBD Bluetooth connection along with an Android and iOS smartphone application, which is used to read and clear error codes. Simply plug the Bluetooth OBD2 scanner into the port, let the blue light appear and then connect to it via the application. The stored error codes that you diagnose using the BlueDriver are checked against a database of 6 million verified fixes. If there is a match, the application may suggest a fix, which may eliminate hours of research or costly mechanics. The user interface of the BlueDriver application is intuitive and easy to navigate with graphics to read data clearly. There are no wires whatsoever and it can be easily stored in the car out of sight as the device itself is very compact. 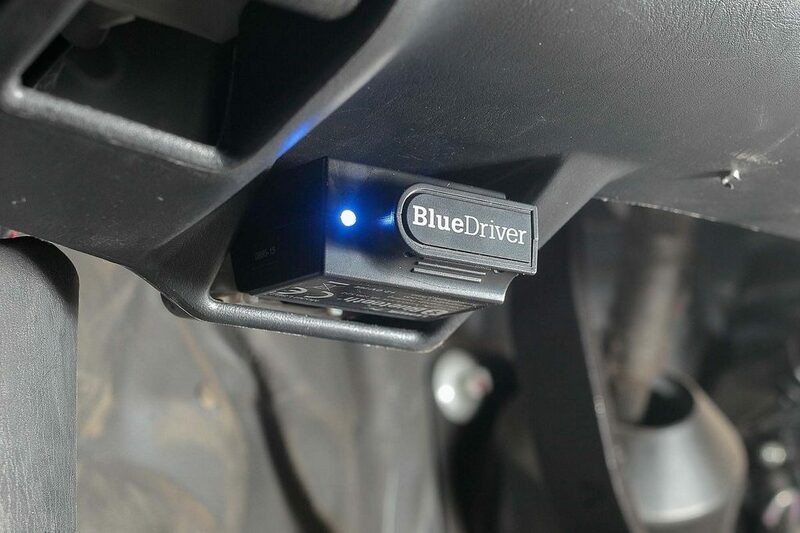 The BlueDriver is the best Bluetooth OBD2 scanner for a home mechanic to use. It can also be very useful for a mobile mechanics to keep with them out on the road for emergency call outs or quick error code scanning. The Innova 3160g is a mid range car diagnostic tool that can be used with all cars, trucks, SUV and hybrids from 1996. Innova themselves are at the forefront of the top automotive multimeters and vehicle electrical troubleshooting devices. If you are a home mechanic, you will be able to use this diagnostic tool with ease but there are more enhanced features for to play around with. The 3160g has recently been upgraded and now features Bluetooth and a color screen for additional usability. The Innova 3160 series has gone through many variations and is tested by professional mechanics. The 3160g is the most popular Innova diagnostic tool and a contender for the best car code reader for the money. If you are loyal to the Innova brand, this is the one to go for out of all of the 3160 variations. As mentioned above, Autel are a huge brand in the car diagnostic tool industry and the MD808 device is their latest model. It has a modern and sleek full color display (800×480) and compact design, which you can comfortable grip in one hand. The benefit of purchasing a OBD2 scanner from Autel is that you receive a 1 year limited warranty and free updates for life. On top of this, you have the reputable backing of the brand along with compatibility with the majority of car manufacturers. If you are servicing your car and want a diagnostic tool to clear service lights, the MD808 does this and much more. The Autel MD808 is an excellent all-rounder that uses the latest technology to provide great performance and a 6 second load time. The Actron brand develop a range of car error code readers and this CP9690 is designed for home mechanics. Unlike many of the other scan tools of this price range, the CP9690 is compatible with OBD1 vehicles too with all of the connectors and adapters included. It also benefits from an above average sized LCD screen for easy viewing of graphs and reports. The Actron is very similar to the Innova 3160g and Autel MD808 with the compact design. However, the Actron may be lacking slightly in features but the capability to diagnose OBD1 cars make it more appealing for owners of both classic and modern cars. The Autel AL619 is one of the brands latest and cheapest diagnostic tools. It uses a single lead to connect from the OBD2 port to the car diagnostic tool and you are up and running. In terms of the compatibility, it is designed to work with a range of manufacturers from 1996 and newer. Autel state that this error code reader will work on all domestic cars with an OBD port and will retrieve both generic and manufacturer specific error codes. The majority of people will be using this device to remove Check Engine Lights (EML). This is the cheapest OBD2 scanner that performs all of the basics and much more without any hassle. The average car owner will easily be able to use this error code reader with its intuitive button layout and clear instruction on the color display. For peace of mind, you have the reputable backing of Autel and a 1 year warranty. The Foxwell NT301 OBD2 scanner is another popular device that falls into the budget category. For average car owners wanting a simple to use car diagnostic tool to remove error codes, the NT301 is a great option. Overall the Foxwell NT301 OBD2 is a compact scan tool that runs fast using a windows operating system and comes with a 1 year warranty for peace of mind. For reading and removing error codes, this fault code scanner is perfect. Launch produce OBD2 scanner devices for every budget and the Creader 6001 is their cheapest diagnostic tool they produce. It is compatible with the majority of 1996 US based and 2001 EU and Asian manufacturers. Overall, it is a cheap diagnostic tool that will allow you to simply view and remove car error codes with ease. 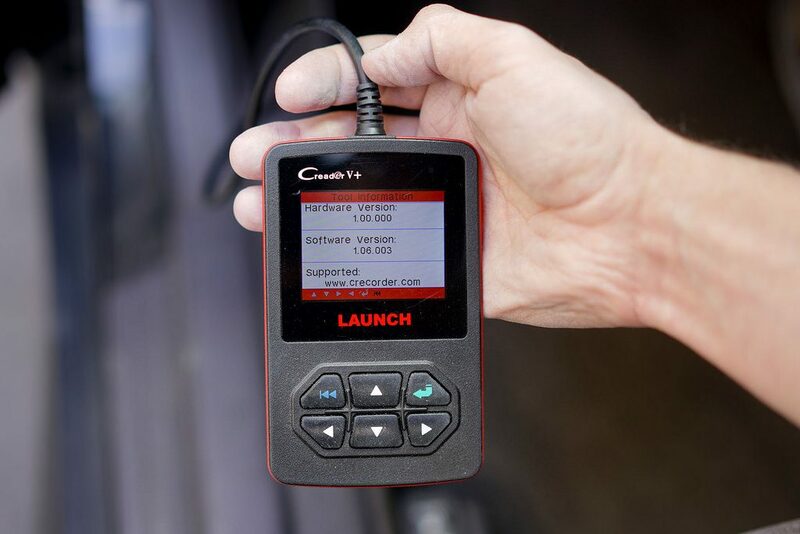 Launch are known for their premium automotive scan tools but this is suitable for those that want to remain with the brand whilst on a budget. The Ancel AD310 is the cheapest OBD2 scanner that reads and clears error codes within this article. There are not many other scan tools with a brand reputation like this ANCEL device at this sort of price range. If you opt for a random brand, you may be disappointed by its functionality and compatibility. To the average car owner wanting to simply view the codes to tell their mechanic or fix themselves, this scan tool is ideal. The AD310 is simple to use and definitely worth the small amount of money. The number of different car diagnostic tools that are available is increasing every month. The market is fairly saturated with many OBD2 scanners under $100 being the most popular for the average car owner or home mechanic. However, there are many people that are professional mechanics and wish to purchase a premium car diagnostic tool. You will then be able to do far more than just read and clear codes but also perform modifications, real time tests and much more. At ProCarReviews, we have been testing OBD2 scanners for many years and currently have over 50 within our garage. To help you make an informed buying decision, we have produced the below buying guide regarding car diagnostic tools. OBD2 scanners come in a range of different types with the larger and more powerful being suitable for professional mechanics. This is because they often come with larger processor, hard drive and other features. The smaller devices are usually the cheapest and perform the basic tasks such as reading and clearing error codes. Depending on the age of your car will be a major factor in which car diagnostic tool you buy. Modern cars will have an OBD2 port but vehicles that are made before 1998 (before they were standardized) may have an OBD1 port. Therefore, you may need to purchase an adapter to convert the OBD2 connection to an OBD1. The term OBD stands for “On Board Diagnostics” and the number “2” refers to the second generation, which is a huge improvement upon the first generation. The OBD1 scan tools are not universal and are usually specific to each car and provide completely different codes. The introduction of the OBD2 technology is a huge improvement and the amount of information you can get from a from a scanner tool is much higher than OBD1 tools. 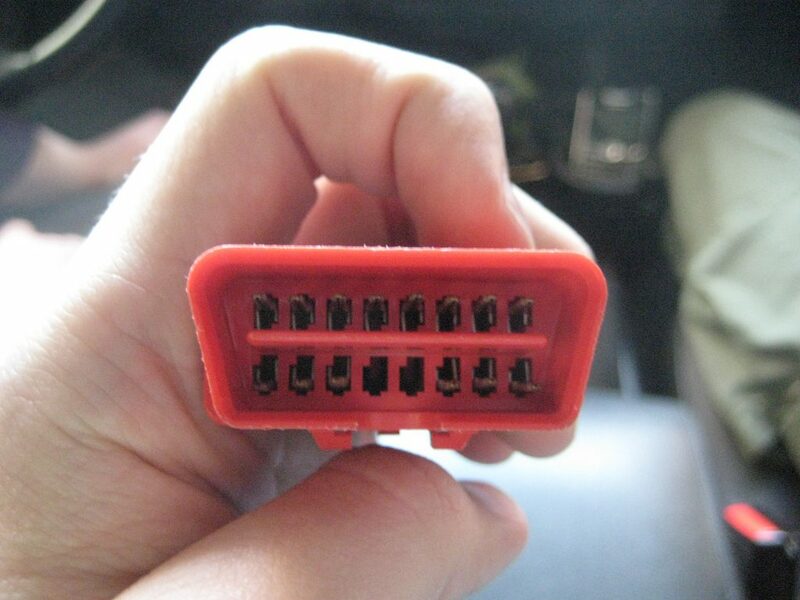 In the below image is an example of a OBD2 connection that you will plug in to a port. 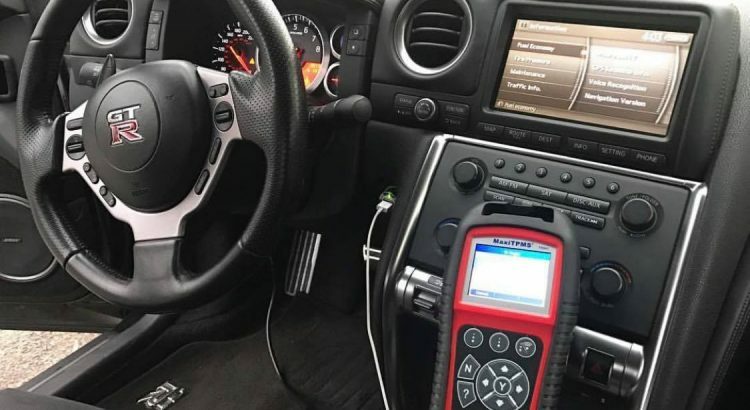 OBD2 compatible vehicles can connect to a range of diagnostic tools and provide standardized error codes, which makes researching the issue much easier. However, it is always worth spending that little bit extra for additional functionality as you may just need it one day. Older car diagnostic tools are notoriously difficult to use with bland interfaces, poor usability and various wired connections. However, with the advancements of technology, they have become just as easy to use as a smartphone. For those that have never used a scan tool before, there are thousands of videos on YouTube with mechanics providing detailed tutorial videos. However, these days most brands will provide detailed instructions in the box or online. Of course, if you are new to using a car diagnostic tool, we highly recommend avoiding the professional devices. These may provide far more details than necessary and you may only want to find out the error code that is stored on your vehicles ECU. We have trialed many of these OBD2 scanner tools within this article but the BlueDriver really excelled in the ease of use category. Once it has been connected (as shown in the image below), you simply go to the app and perform various tasks. You could even leave the BlueDriver connected whilst you are driving and use the application as your very own car HUD as it displays various real time data. Owning a car code reader is very helpful when trying to diagnose a vehicle. All you have to do is connect the scanner into the port and you are on your way. It avoids the guesswork and potential to spend thousands on parts and labor. Here is a list of codes that you may see while working with an OBD2 scanner. J1850 PWM. Mostly used in 1996 vehicle models that are Lexus, Scion, Toyota, and Isuzu. These codes also include information for 1996 and 1993 GM modeled cars. This connector has 2-4-5-10-16 pins. J1850 VPW. Used for 1996 to 2001 models of Ford and Mazda. The connector for this make is 2-4-5-16, but excluding a pin #10. ISO 9141-2. A protocol that is used for Audi, BMW, and Bentley vehicles that were manufactured in 1996 to 2002. It also includes codes for Chrysler, Honda/Acura, Mercedes, Mitsubishi, Suzuki, Nissan/Infiniti, Volvo, Porsche, Rolls Royce, and Hyundai. The pin connectors are 4-5-7-16. ISO 14230-4 (KWP 2000). The connector pins for these codes must have 4-5-6-14-16. Examples of models and makes that use these protocols are Audi and VW cars from 2003 to 2007. Other vehicles include: 2002 to 2005 BMW 7-Series, 2004 to 2007 GM cars as well as 1993 to 2002 Cadillac models. CAN-BUS J1939 and ISO15765-4. A common protocol that is found on more modern cars like 2006 to 2008 Land Rover, Audi, VW, Chrysler, Ford, Honda/Acura, Rolls Royce, Subaru, Lexus, Volvo, Suzuki, and GM. The connector associated with these protocols are 4-5-6-14-1. The amount of car diagnostic tool devices out there will continue to increase but you will want to keep an eye out for their features. From the on screen information to the data storage can make the difference between an easy to use and terrible scan tool. If you are opting for a device that runs from an application, we highly recommend checking reviews of the smartphone application. This will give you a strong indication to whether it is compatible with your phone and features work as they should. In terms of the reliability, brand reputation and their warranties will be a good indicator. We highly recommend sticking to the big brands such as Autel, Launch, Ancel, Actron, Innova, Foxwell and a few others. This will give you peace of mind that it will not cause any damage to your ECU and function as you would expect. Car diagnostic tools have improved massively over the years due to the modernization of new vehicles on the road today. Without them, you spend hours finding a minor issue with your car and potential spend thousands on car parts that did not to be replaced. Deciding the best OBD2 scanner for your requirements is dependent upon the type of usage that you intend on doing. For example, if you run a garage or you are a car enthusiasts, you really want to be looking at the more premium devices available. Within this article, we have covered all the best options for professionals, home mechanics and those that are looking for a cheap car diagnostic tool. Considering that most garages will charge anywhere between $50 to $100 to diagnose your car, it makes sense to invest in one for yourself. My liberty jeep has an error on the dash board. The electric sign blinking continuously and the temperature return back to zero. The car at this point starts malfunctioning. The working is no more normal. Raising up and down. If it is a car electrical issue, there would be three things that I would check for. First would be check the fuses, a blown fuse is fairly common. Secondly, plug in an error code scanner for your car as mentioned above (assuming you have an OBD2 scanner). Lastly, if you are down for getting your hands dirty, you can check the continuity using an automotive multimeter. I hope this is of some help! I was after a bluetooth obd2 scanner for a long time but the bluedriver is the one I went for. Well worth the money and its something I just keep in my car nowadays. It works on the majority of cars and its so simple to use. I bought 2015 Lexus NX300h Japanese which is right hand drive. This is accident car i bought in auction, i took this vehicle to my country to repair. Now i was told by my mechanic that the VIN number can’t be programming with their Diagnostic machine. All the Diagnostic machine is made for VIN America cars which is different from Japanese Chassis number that represent as VIN number. Sir, how can i get Diagnostic machine to programming the Computer Assy, Smart key, Controller Assy to the Computer brain box to start the car. Please advice me the right machine to use to programming this vehicle. Can blue driver perform adaptation erase for electronic throttle body. Depending on the age of your Meriva, the majority of error code readers will be able to tell you this. Have you tried researching the code? There may be many codes to do with an O2 sensor, with each code providing a different solution to the error code. Hi! Do you have any suggestions for my Japanese Mercedes 1991 SL500. Not sure if an adapter to North American could do or I would I need a whole new tool? I actually own several of these R129’s – There should be diagnostic port in the top right of the engine bay (I’m sure you would have seen this). To use this, you will need a Mercedes Star Machine. You can buy them online but second hand is the way to go with one of these! I wish to learn about obd scanners with the intention of opening a service workshop. How do I go about it,though I’m an electrical technician. Also which scanner will you advise I buy that will function appropriately with Asian cars and SUV. Thank you greatly. Hello – I trying to figure out which will be my best scanner but now I have one question, does I need to buy one connector for each brand? I have Ford, Honda and maybe I’ll buy a BMW then what are your suggestions. Hey Rodrigo – Most newer vehicles now have a standardized OBD2 port but this is dependent upon the vehicles age. Therefore, you probably will not need to purchase a different connector for each brand. Hope this helps!